In other words, marketing is no longer a business of thinking up clever advertising and direct mail pieces. Good marketing involves everyone in the company who has contact with customers. Marketing and customer service are coming together. The top two groups representing 16% of the customers contributed 105% of the bank’s profits. The bottom 84% reduced the bank’s profits by 5%, with the bottom 28% eroding profits by a total of 22%. This situation is true in thousands of industries, not just in financial services. Why should we spend money trying to retain the bottom quintile when they are robbing the company of value and hurting the enterprise? What we really want to do is to provide super services to the top two quintiles so that we can retain them. They are the life blood of the enterprise. We want to give them services that we could not possibly afford to provide for everyone. If we watered down our services to those things we could afford to give everyone, the services would be so meager that they would be meaningless to the recipients, and useless for influencing loyalty. What can customer service accomplish? One company did a land mark experiment that proves for all time the value of customer relationship management. The company was a manufacturer of building products. Their customers were 45,000 large building contractors. Their traditional methods: publish an annual catalog, mail it out, and wait for the phone to ring. The company was very profitable. A management consulting firm suggested an experiment. Let us take the top 1,200 customers and divide them into two exactly equal groups: 600 in a test group, and 600 in a control group. The control group we will treat exactly as we treat all of our other customers. We will wait for the phone to ring, and be very nice to them when they call. What was the difference between the purchases made by the control group and the test group after six months? In total, the test group bought products worth $2.6 million more than the control group during the six month period. The total cost of the test was about $50,000. How’s that for a return on investment? In other words, this stuff works! People respond to friendship and relationship building. But, they have to be the right people. If the experiment had been tried with the bottom customer quintile instead of the top, it probably would have not worked anywhere near as well. Why? Because the bottom quintile probably make the bulk of their building product purchases elsewhere. They are loyal to some other firm, and bought from the test firm only items that their regular supplier does not carry. Some of them could have been turned around, certainly, but it would have been an uphill battle and not have had the same dramatic results. To be successful in customer relationship management, we must discriminate. So what are the rules for successful customer relationship management? Provide good information. 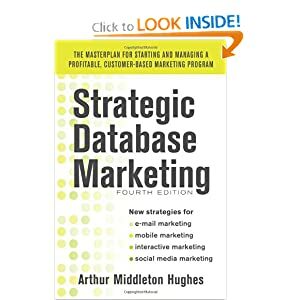 Customer service has to have access to the customer marketing database. They have to know what each customer has bought in the past, and their profitablity. They have to have a record of past complaints and compliments. They have to know who the key people are in each firm, and what their attitude is towards their own company and its products. Empower customer service. If customer service personnel are just message takers, no one will unburden themselves to them. Customer service personnel have to represent your firm. They have to be able to do what the owner of the firm would do: make decisions in the interest of the customer and the firm. They must be delegated authority to act to solve problems. Set up test and control groups. Good customer service is not just “nice to have”. It is highly profitable. You must prove to management that the money spent on customer service is creating customer loyalty and profits for the firm. The only way that can be done is to set up control groups so as to measure correctly the performance of the test groups. Many executives will oppose the creation of control groups, saying “We must treat all customers alike.” Fight this old fashioned way of thinking with all your might. Without control groups, you can never prove that what you are doing is having the desired effects and justifies your enlarged customer service budget.